Meet super chef, entrepreneur, humanitarian, Cat Cora, come with us to Charelston as we peek behind the scenes at Portland's best restaurants, plug into the localvore phenomenon, explore options in wine and spirits and get all your industry insider news in the premiere issue of Food & Beverage Today. She's more than just the only female Iron Chef in history. 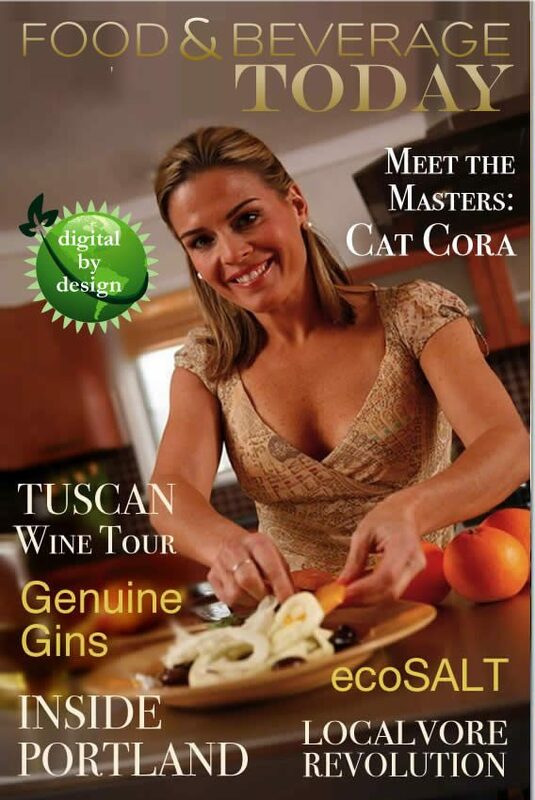 We talked with Cat Cora about balancing her high profile career and life. Food and beverage pros won't want to miss this. Join two young entrepreneurs as they offer a new view of Tuscany in our special insider's wine tour. If you think you know Tuscany, think again. Make no mistake, not all gins are created equal. Watch, stock and sip these impressive standouts unique enough to call Genuine Gins. Every city has its hotspots - some even thrive in a recession. We've started our list and these are the Portland restaurants not to miss in 2009. Peek inside the home-grown revolution that inspires trust and is changing the face of food and beverage.